Jake Priddy is the owner/head instructor of Fenris Kunst Des Fechtens in Martinsburg, WV. 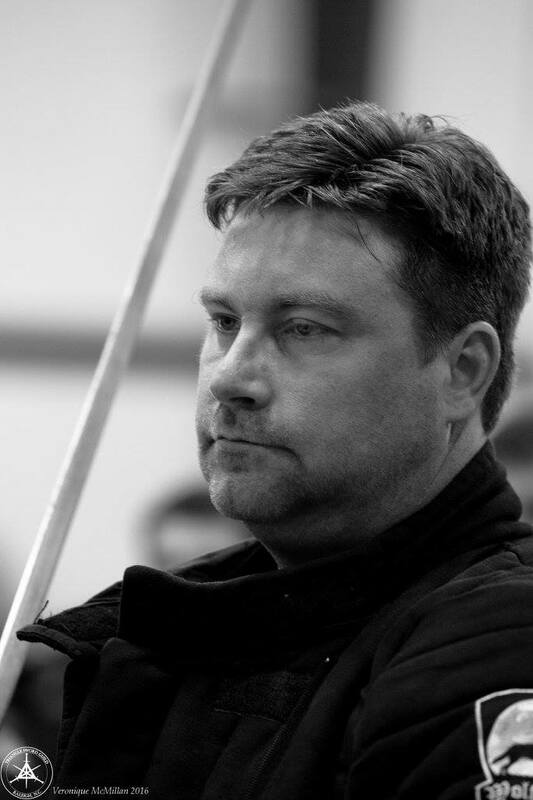 He has been studying swords and swordplay for 30 years, as both a professional fight director and choreographer, and as a martial artist. He holds the Okuden makimono in Niten Ichi Ryu Kenjutsu and a black sash in Poekoelan Tjiminde Silat. He has been teaching German longsword since 2004, formerly as a member of the Association of Renaissance Martial Arts (ARMA), and currently as a HEMAA Certified Instructor in 14-16th c. German KdF. In addition to studying HEMA, Jake holds a master’s degree in history from the George Washington University. He is a professor of ancient and medieval history at Northern Virginia Community College, and the author of As Tufa to Sapphire: Gendering the Roles of Medieval Women in Combat.